1. In medium saucepan, bring water and 1 tsp (5 mL) canola oil to boil over high heat. Stir in couscous, cover tightly and remove from heat. Let stand 5 minutes or until tender. Fluff with fork and set aside to cool completely. 2. 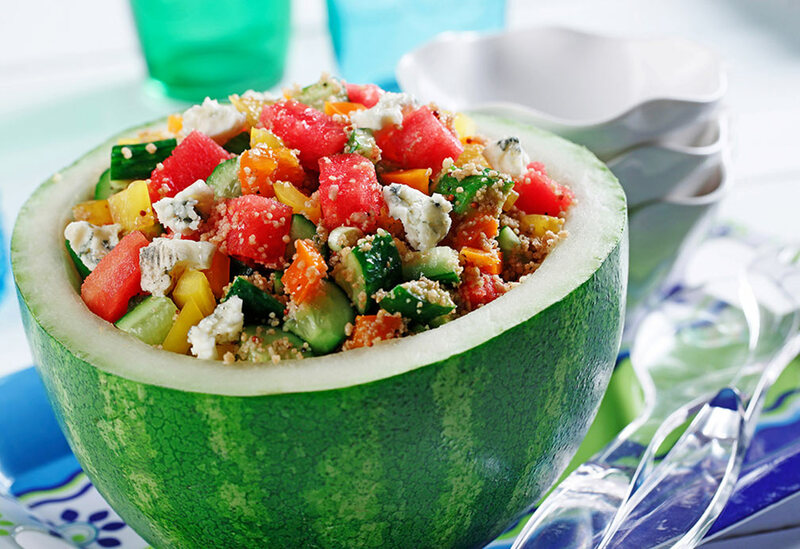 In large bowl, add watermelon, cucumber and Gorgonzola to couscous. Stir to blend. 3. In small bowl, whisk mustard and balsamic vinegar. In steady stream, drizzle 3 Tbsp (45 mL) canola oil. Continue to whisk until mixture emulsifies. Toss into salad to lightly coat. Top with ground pepper. 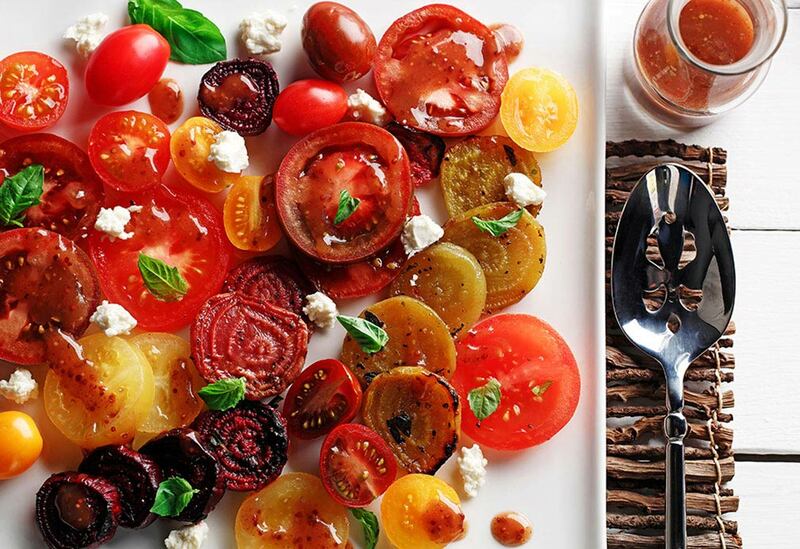 This bright red salad is perfect for a picnic or luncheon. It’s so flavorful with fresh herbs and canola oil’s neutral taste lets those flavors shine. 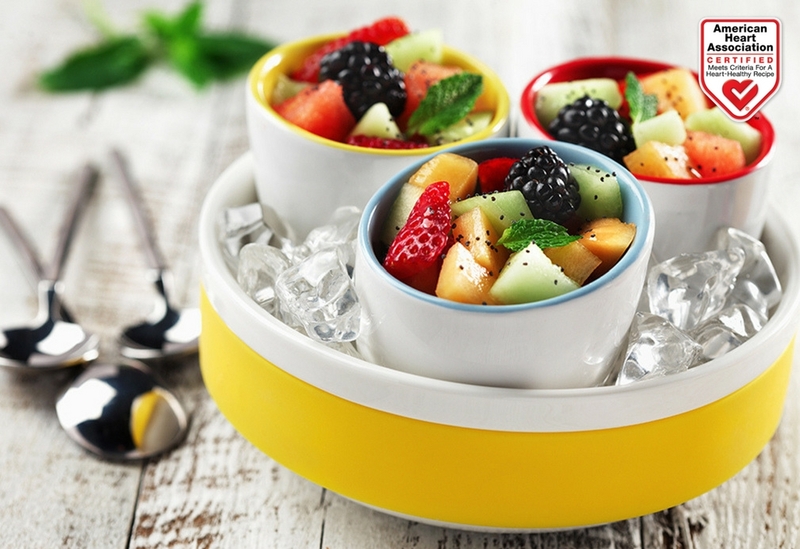 This light and zesty dressing enhances fresh seasonal fruit like a mint pesto. The canola oil only enhances the mint without distracting from its flavor. 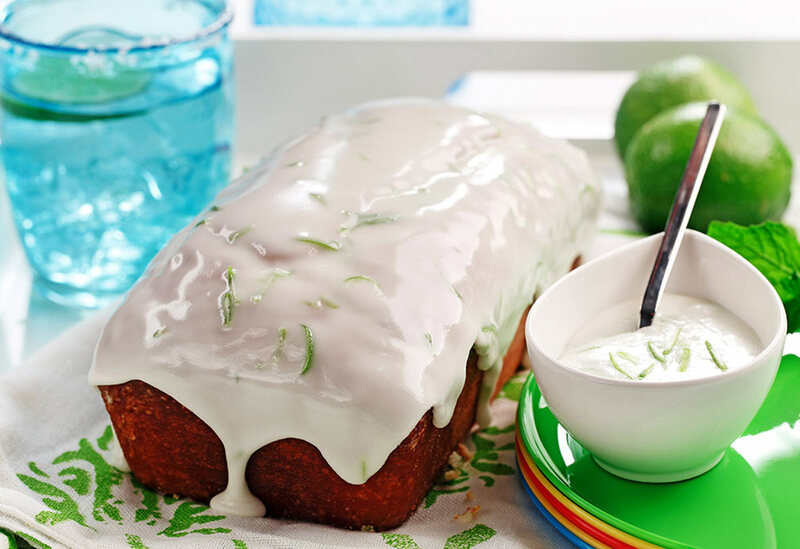 A loaf cake packed with the flavors of Cuba, just like the namesake Mojito drink. You will need to squeeze about seven limes for the juice for this recipe. Canola oil produces a tender crumb and helps keep saturated fat to a minimum.